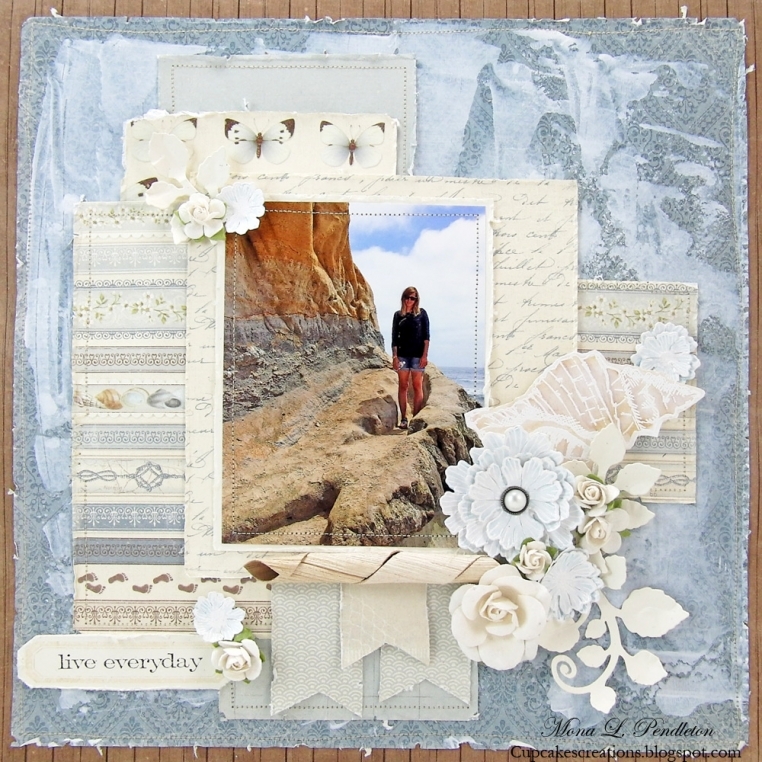 Today I have a layout to share featuring beautiful patterned papers from the Shoreline Treasures collection. Wow! one of the most beautiful l.o. ever!!!! Mona, you are so talanted! !